Sodalite is a stone of insight, helping one penetrate paradox and contradiction in order to form a new synthesis of thought. It enhances the mental powers of analysis, intuition, observation and creativity and is stimulating to one’s latent genius. It facilitates self-discipline, efficiency, organization and structure in research and other mental pursuits. It is an excellent stone for writers, business people, teachers, students, psychologists and those who delve into philosophy. 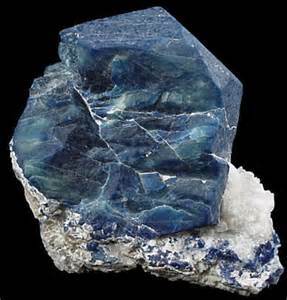 Sodalite is one of the stones of the deep journey. It provides insight into the self and a dispassionate assessment of one’s motivations, strengths, weaknesses,desires, gifts and patterns of personal destiny. It stimulates psychic vision and multileveled understanding, sparking the ‘aha!’ moments wherein one sees the pattern that connects the inner and outer worlds and the events that happen in both places at once. 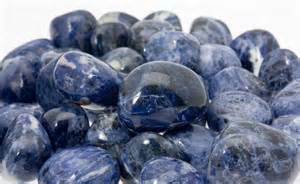 As a stone of insight and pattern recognition, Sodalite can aid astrologers, numerologists, tarot readers, as well as those who consult other Oracles. It helps one translate the archetypal patterns revealed in the oracles into meaningful understanding regarding the events in earthly life. It also helps intuitive readers assess the personalities and energy patterns of their clients. Sodalite can increase one’s capacity for intuition. It increases the frequency and accuracy of one’s ‘hunches’ and gives one confidence in one’s inner knowing. It helps one to let go of the self-judgement that causes second-guessing. It also facilitates entering a deep meditative state and opens the subconscious. This helps one recall and heal wounds from the past and receive symbolic imagery from the wise part of the self that communicates without words. For insight, intuition and increased mental ability, Sodalite harmonizes with Iolite, Lapis Lazuli, Siberian Blue Quartz, Blue Sapphire and Lazulite. Moldavite brings a higher vibration and a transformational intensity to aid Sodalite in its work. Phenacite, Scolecite, Natrolite, Danburite and Herderite all work to bring Sodalite’s powerful mental and psychic activation to a higher spiritual level. Sodalite evokes images from deep within the subconscious, enabling one to perceive one’s core lessons in this lifetime and to understand where one is on the path to completing them. Sodalite acts as a guide or inner travels- through meditation, dream time, or shamanic journeying. It aids one in staying focused on the moment, without being distracted by past or future concerns. Sodalite helps one integrate all aspects of oneself into the now, so one may use all one’s learning and experiences to deal with the lesson at hand. Sodalite can be effective in achieving hypnotic or trance states. It removes one from the pressures and worries of life and allows one to sink deeply into the subconscious and unconscious minds. It can be used to help one recall one’s dreams or to practice lucid dreaming. Sodalite helps one to perceive where one’s path lies. It acts as a ‘signpost’ on one’s personal journey, helping one become immersed in the experience of spiritual growth, without obsessing on the ‘magic tricks’ that can go with one’s awakening. For instance, it can open one’s psychic perception, yet prevent one from becoming egoic about one’s psychic abilities. Sodalite is good for psychic protection and can also clear electromagnetic smog. Sodalite cultivates detachment from the concerns and worries of everyday life. It can reduce stress and anxiety by allowing one to see one’s reality from a higher, more serene perspective. Sodalite can stabilize emotions, bringing emotional balance and a calming influence. It can help those who are defensive or oversensitive and boosts self-esteem, self-trust and self-acceptance. Sodalite can also help to release fears, phobias and guilt. Sodalite can be used to help support the regulation of blood pressure, easing water retention and improving cellular hydration. Sodalite is particularly good for cleansing the lymphatic system and organs and therefore is beneficial for and boosts the immune system. It can treat the throat, vocal chords and larynx. It is also a helpful stone for balancing the metabolism and relieving digestive disorders. Sodalite can also help to reduce fevers. My mind is fully awakened on all levels and working at its highest capacity. The elongated egg-shape of the Shiva Lingam is actually regarded as symbolic of the phallus of the Hindu god Shiva. In temples it is often paired with a corresponding object symbolizing the female, or the yoni. Yet within its own form, the Shiva Lingam symbolizes both the male and female, as well as the cosmic egg out of which all creation is said to have emerged. Legend has it that the goddess Parvati fashioned a Shiva Lingam from a fistful of sand at Kanchipuram and there worshiped Shiva. This specimen is known as the Prithvilingam, symbolizing the primordial element Earth. Some of the Shiva Lingams in Hindu temples are called swayambus, denoting that they appeared on their own, untouched by tools or human hands. Shiva Lingams symbolize the primeval energy of the Creator. Hindu devotees believe that at the end of creation, at the time of the great deluge, all the various aspects of God find a resting place in the Lingam- Brahma is absorbed upon the right, Vishnu on the left and Gayatri in the heart. The Shiva Lingam is also said to be a dipiction of the infinite Cosmic Column of Fire. Keywords: Kundalini activation, vitality and prana, spiritual transformation and rebirth, enlightenment, oneness with all. Shiva Lingams resonate deeply with the energies of the Earth, yet they also carry strong energies of Water, Wind, and even Fire. In fact, the fire energy of these stones is so strong that they are capable of activating kundalini energies and charging the entire Chakra System. For those who feel they need a boost of vitality and prana energies, meditating or sleeping with a Shiva Lingam is highly recommended. Esoteric legends (and now even some scientists) suggest that there is a field of invisible knowledge- similar in some ways to the idea of the collective unconscious- in which the stored psychic energy of human ritual and belief may reside. When one does something that makes a connection to some portion of this field of consciousness, one can tap into the energy of all the past consciousness that has contributed to it. Thus, when one works with a sacred object like the Shiva Lingam, one can receive the benefit of the collective efforts of all those who have used such stones in spiritual pursuits throughout history. Since the Shiva Lingam has been an object of devotion to the Divine and a tailsman of enlightenment for many centuries, one can connect with the energy of all this through working with these stones in the here and now. This is especially true because the stones themselves are composed primarily of microscopic Quartz. Through crystal resonance, and Shiva Lingam can connect energetically to all others throughout the world, in all places and times. It is little wonder that they are such potent spiritual talismans. Shiva Lingams are emblems of inner transformation, partaking of the Storm element in order to break up patterns of self-limiting habits and beliefs, so one may be flooded with Spirit. Like Shiva, they destroy what is old and corrupt to clear the way for rebirth. Those who wish for such transformation will find in them a fierce and ready ally. Shiva Lingams harmonize with all forms of Quartz. For spiritual transformation, they have a special affinity with Moldavite. The energies of the stones resonate with the Storm element. They amplify the electromagnetic field of the body and stimulate the meridians. Both energetically and metaphysically, Shiva Lingams represent the healing of polarities and the unifying force of creation. The total energetic effect of the stone is one of union and the activation of the sacred kundalini energy that rises up the spine, activating the chakras and bringing enlightenment. 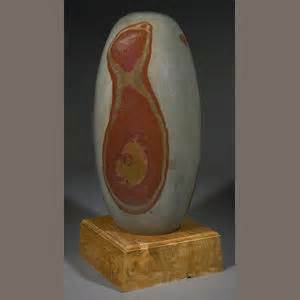 Shiva Lingams remind us that perceived opposites are simply different energetic expressions of the whole. Beyond ‘male’ and ‘female’,’light’ and ‘dark’, ‘good’ and ‘evil’, there us an underlining unifying force. Shiva Lingams aid in uniting all sides of the self and lovingly accepting the differences in others as expressions of the many faces of the one Creator. Shiva Lingams can assist in overcoming judgement, separation and the need to be ‘individual’ or apart. The word ‘apart’ means separate, yet it is composed of the words ‘a part’, which indicates wholeness. 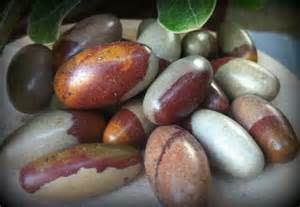 Shiva Lingams help us feel unity, even in situations of apparent separation. I give myself to the Divine- with complete trust and utter devotion I ask to be remade and enlightened. Like other stones of the Pink Ray, Rhodonite promotes the energy of love. In this case, the love is more outer-directed than with stones such as Rhodochrosite. 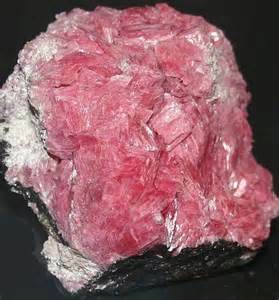 However, Rhodonite and Rhodochrosite are related in more than color and similarity of name — both are key tools in recovery of one’s inner gifts. While Rhodochrosite focuses on remembering lost pieces, Rhodonite takes up the process of using the recovered gifts in one’s life, for the benefit of the community. The outer-directed love engendered by Rhodonite is one of altruism and generosity, using one’s talents to bring gifts to others. As one sometimes discovers, this path of generosity often offers greater satisfaction to oneself than any amount of receiving ‘what one wants’ can give. Rhodonite attracts the people and situations best suited for the application of one’s unique talents, and in so using them, one can experience the fulfillment of the deep desire to love and be loved. This is Rhodonite’s gift — to bring more love into the world by acting as a catalyst for the fulfillment of one’s life purpose, through the expression of one’s hidden gifts. In meditation and dream work, Rhodonite can enhance the depth, clarity, and meaning of one’s inner experiences, making it easier to understand the messages behind the dreams and visions. It can provide a psychic link to the archetypal pattern of personal destiny, helping one to remain ‘on the beam,’ acting with purpose and persistence toward the fulfillment of one’s highest aspirations. Rhodonite harmonizes with most other heart stones, including Rose Quartz, Pink Calcite, Rhodochrosite, Morganite, Emerald, Tsavorite Garnet and others. 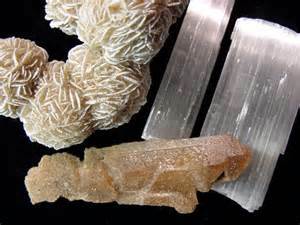 It has a special affinity with Phenacite, Scolecite, Natrolite and Herderite for purposes of awakening to the Higher Self and acting from that awareness. Rhodonite also combines synergistically with Sugilite and Tibetan Black Quartz for clearing and dispelling negative energies. It works well with Red Garnet for manifesting one’s dreams in the physical world with Tsavorite Garnet when those dreams involve prosperity. Rhodonite aids in perceiving where one’s talents lie, and in using those talents for the highest good of all. It is a stone of learning and development—encouraging one to expand or perfect one’s skills so those skills can be employed to help others. Rhodonite carries the energy of cooperative community. It speaks to us of our responsibility to use our skills to assist in the spiritual birth of the Earth and each other in these times of transformation. Rhodonite is truly a stone of power. Power is simply the ability to recognize where one can utilize one’s energy or talents to effect change on the Earth plane. Rhodonite supports one in perceiving one’s gifts and in utilizing those gifts to effect that change. On a physical level, Rhodonite strengthens the tissues, organs and glands. It supports the flow of Chi through the Meridians of the body and helps direct that vital force to the endocrine system, which in turn support’s one’s energy and vitality. It is particularly effective in supporting the liver through the detoxification process. It can be helpful in stimulating the metabolism and in supporting one’s expression of energy through exercise or physical activity. Rhodonite helps one to understand one’s purpose, as revealed by one’s gifts or abilities. Everyone has a skill, gift or ability that they can utilize in service to Spirit. Rhodonite helps one to value one’s gifts and skills, and to perfect them for the highest good. Rhodonite is a stone of self-worth. It aids one in feeling sure about one’s purpose. It can help one find a stronger sense of self and a clearer call toward one’s spiritual path. 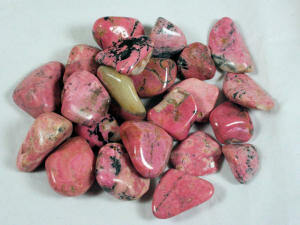 Rhodonite is an excellent support for weight loss, detoxification and purification of the physical body. Though not a purifier in itself, it stimulates and strengthens the organs and glands, allowing them to purify the body more effectively. It is good for ridding the body of gallstones or kidney stones and can support the healing of the liver from disease or damage. I call forth my hidden talents and abilities, and I use them lovingly for the benefit of all. Bloodstone is also known as Heliotrope, from the Greek meaning ‘sun turner’, although the derivation of this name is not known. In the Middle Ages, the red spots in Bloodstone were thought to be spots of Christ’s blood, and special magical powers were attributed to the stones. Bloodstone is a great purifier, a healing tool for dispelling negative influences from the auric field and bringing one’s subtle energies into wholeness and balance. When this is done for the invisible self, the benefits for the physical self will follow. Bloodstone grounds one fully in the body and with the grounding comes the enhancement of one’s capacity to function with strength, determination and courage through the whole range of challenges inherent in earthly life. 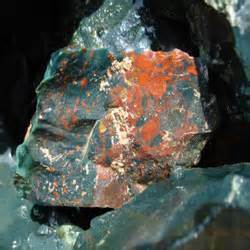 Just as Bloodstone increases vitality, it also assists one in facing the realities of physical mortality and death. It is a good talisman for those who are ill, even if curing the illness is not possible, because of its power to let one look unflinchingly at the truth, whatever it is, and to move forward in the most appropriate ways. Bloodstone is a stone of noble sacrifice, and it is perhaps more than coincidence that the red spots were once said to be drops of Christ’s blood. For those called to give of themselves for the good of the community, Bloodstone can offer courage and solace. It has a way of eliciting the highest, most altruistic character traits in whoever carries or uses it. At its most effective, it stimulates the urge toward Christ consciousness within the self. From this vibration, it can assist one in comprehending and appreciating this consciousness and in aspiring to feed its flame within the heart. Bloodstone strengthens the Root Chakra, source of our physical energies, and it helps one dispel sluggishness in that area. Working with Bloodstone-wearing or carrying the stone-one may find an increase in one’s zest for living and in one’s endurance in physical activity. It is helpful for everyone from athletes to invalids because of its steady vibration of purification and well being. Bloodstone works well in harmony with Cuprite, Smokey Quartz, Zincite, Black Tourmaline, Jet, and Obsidian. The black stones enhance the purification aspect of Bloodstone, and the others work primarily to energize the lower Chakras. For connection with the vibrations of Christ consciousness, one may wish to combine Bloodstone with Imperial Topaz, the truest stone of the Pink/Gold Ray. When Bloodstone is combined with Moldavite, its effects are accelerated and there is a strong force towards transformation of one’s life into alignment with one’s dharma—one’s highest path. The energy of Bloodstone offers support and courage during times of adversity. It lends strength to the physical body and can help one maintain stamina during extreme difficulty. It also provides emotional support by helping one find the courage to follow one’s heart and take action based upon what one knows in one’s heart to be true. Bloodstone assists one in perceiving the correct course of action and can help one remain true to one’s path when faced with discouragement or resistance. It is often viewed as the stone of the ‘spiritual warrior.’ Its combination of Quartz and Red Jasper energies makes it ideal for those who feel abandoned by others, due to their pursuit of their spiritual path. It is excellent for those who are afraid of making decisions or who feel they need extra support in persevering with difficult actions. Bloodstone instills courage and assists one in taking the right action. It can help one fulfill one’s commitments in the face of obstacles. It is excellent for those undergoing tremendous change in their lives due to Spiritual Awakening. It can help one to maintain faith in and trust the Divine and overcome loneliness and find one’s inner strength. Bloodstone can keep one from becoming discouraged when one meets obstacles on one’s path. It can assist one in feeling capable and self-sufficient. It strengthens one’s sense of connection to the Divine, revealing feelings of isolation or loneliness as illusion. 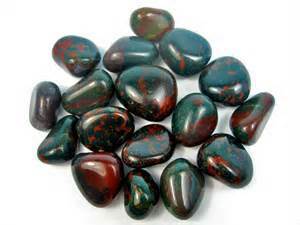 As one would suspect from its name, Bloodstone is useful for all types of blood ailments. It works at the source of the blood, within the bone marrow. It can assist in strengthening and fortifying the blood and overcoming blood weaknesses such as anemia. It is stimulating to the liver and the endocrine system. It is also useful in balancing female hormonal imbalances and helpful to stabilize the hormones throughout menopause. I am at home and alive in my physical body, which vibrates at its optimal level of strength, vitality, and purity, and I act for the highest good of all. Appearance: Jade is best known as a green ornamental stone. Its color varies from light to dark green, but it may also be other colors such as white, gray, and purple. Jade is actually the gemstone name for two different mineral forms, Jadeite and Nephrite. These two minerals can be identical in appearance and are similar in their physical properties, and until modern times no distinction was made between the two different types of Jade. While Nephrite is generally only green, cream, or white, Jadeite colors can range through the color spectrum with more exotic colors. Source: The main deposits of Jadeite are in Mynamar (Burma); other deposits are in China (Tibet), Russia, Kazakhstan, Guatemala, and the U.S. (California). Nephrite Jade comes from China, Russia, Brazil, and the United States (Wyoming, Alaska, and California). Jade is known as the “dream stone” and also as a “stone of fidelity”, bringing realization to one’s potential and devotion to one’s purpose. Chakra application depends upon the stone’s color. It is used to release suppressed emotions via the dream process by placing a piece of Jade under your pillow prior to sleep. Revered by the Mayan and Chinese cultures, it facilitates peace within the physical, emotional and intellectual structures, as well as within the material world. A “sacred” protective stone, it facilitates harmony. Jade is said to bless that which it touches. It releases negative thoughts, soothing the mind. Jade is said to balance male and female energies, and between partner and self. Symbol of purity and serenity, it increases love. Jade is said to provide confidence, attainment of self-assuredness, self-reliance and self-sufficiency. It is said to bring the user a long and fruitful life with a gentle transition from this body to the spiritual world. Jade is a stone of the heart. As such it is related to the Heart Chakra and has a beneficial effect on all Heart Chakra related issues. So, of course, it can attract and enhance love of all kinds. It is also a stone of fidelity and generosity. It is also considered to be good for the physical heart and for emotional balance and stability. It is used in crystal healing for increasing self-reliance. Jade is also very helpful as a stone of abundance. Physically, jade is used to heal lung problems, kidney problems, immune system weakness, PTSD, and nervous system overwork. Jade is also energized by its color, and relates to those color energies as well. Jade is said to bless whatever it touches, serving mankind across the globe for nearly 6,000 years. Jade has been the most highly esteemed stone in China throughout recorded history, and was valued for its beauty and powers of healing and protection. It is cherished as a protective talisman, which keeps the wearer from harm and brings harmony assuring long life and a peaceful death. It is considered a powerful healing stone. As a travel stone, Green Jade prevents illness while on holiday, is beneficial for those traveling alone, and protects children and pets from straying or being hurt while on a journey. Green Jade also fosters chi, or Life Force energies, and is excellent for hiking, gardening or relaxing out of doors. An amulet of good luck and friendship, Jade signifies wisdom gathered in tranquility, dispelling the negative and encouraging one to see oneself as they really are. Jade pendants and necklaces protect against deception and authoritative abuse for financial or sexual gain. Jade signifies peace through strength, and is also helpful in homes or occupations that encounter bullying or intimidation from violent children or teens. It is believed to attract good luck and friendship. Green Jade is an abundance stone, representing the flow of Divine energy into the reality of one’s life. It brings harmony and happiness in business and family relationships, as well material abundance. It is a reminder to smell the flowers, touch the ones you love, and share your heart with others in affirmation of plenty. Placed on the forehead, it brings insightful dreams. It is the ultimate “Dream Stone,” revered in ancient cultures, as well as today, to access the spiritual world, gain insight into ritualistic knowledge, encourage creativity, and dream-solve. Jade improves one’s remembering of dreams and releases suppressed emotions via the dream process. Jade releases negative thoughts, irritability and soothes the mind. It stabilizes the personality, integrating mind with body, to stimulate ideas and make tasks less complex so that they can be acted upon immediately. Jade is excellent for healing feelings of guilt, and for extreme cases of defeatism. It also treats “pathological normality,” an excessive desire to adapt oneself to a group, even if it is sect-like, exaggerated militarism, a follow-the-leader attitude, or the compulsive desire to give in to general opinion to belong no matter the cost. Jade encourages you to become who you really are. Jade stabilizes the personality and integrates the mind with the body. It promotes self-sufficiency. Jade relinquishes self-imposed limitations and assists in cherishing one’s ideals and desires, facilitating the ambition and building of those thoughts into physical reality. Jade provides confidence and self-assuredness, self-reliance and self-sufficiency. As a professional support stone, Jade aids doctors, nurses, veterinarians, and all healers in making practical diagnosis and in their applications. It is a support stone for educators, and Jade, carved in the form of a faith symbol, is uplifting to military personnel. It assists in recognizing yourself as a spiritual being on a human journey and awakens hidden knowledge. Green Jade is a crystal of love. The heart chakra regulates our interaction with the external world and controls what we embrace and what we resist. It gives us the balancing ability to be ourselves within the environment. When the heart chakra is out of balance you may feel either controlling or controlled in a relationship, and become critical of the little foibles of others. You may well find yourself having inappropriately strong emotional responses to everyday external stimuli. Green crystal energy is used to resolve blockages and to re-balance the heart chakra, helping us understand our own needs and emotions clearly. Green Jade can be used to harmonize dysfunctional relationships and channel passion in constructive ways. We can deal with the ebbs and flows of emotional relationships, understand their cyclic nature, and accept the changes. It is supportive of new love, and increases trustworthiness and fidelity. It also inspires love later in life. Green Jade is a “growth crystal” – a powerful conduit of the earth’s Life Force of birth, development, and creation, and of the power of nature’s constant renewal. It is a potent aid in nurturing, whether of fledgling family relationships or a new business venture. Green Jade is perfect for keeping a venture on course, a project on schedule, and life on track. Lighter Green crystals promote spiritual growth and renewed commitment to a higher purpose. Those of a darker hue are talismans of physical growth and strength, and safety in travel. Jade supports development, strength and maturity. It enhances our receptiveness to new meanings and ideas, and lights the path to wisdom and understanding. It is a talisman of the search for knowledge and enlightenment. Jade in all forms has always represented nobility, not only of rank, but of ideals. The wearing of Jade assists in creating magic for the highest good and in protection from harmful or deceitful entities during spirit work. In lighter shades, Olive Jade provides the perseverance needed in our quest for understanding the natural universe, efforts that require deep concentration, determination, and endurance for mental challenges. In deeper tones, Olive Jade is a “Study Stone,” aiding us in the long quest for a higher state of understanding or awareness. It is excellent for achieving goals that need deep constancy and long-term purpose – not wild, exuberant growth, but the slow, steady development and deep caring of a life’s calling. Jade treats the kidneys and supra-adrenal glands, removes toxins, rebinds cellular and skeletal systems, and heals stitches. It works on the hips and spleen. 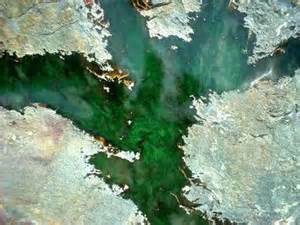 Jade balances the fluids within the body and the water–salt/acid–alkaline ratios. Jade is a powerful cleansing stone, enhancing the body’s filtration and elimination organs. It is excellent for treating the kidneys, spleen and supra-adrenal glands, removing toxins and balancing the fluids and water-salt/acid-alkaline ratios in the body. It is helpful to the bones and joints, especially the hips, and for treating bacterial and viral infections, cystitis and genito-urinary infections, and bedwetting. Jade is thought to treat reproductive disorders, especially male, assisting in fertility and during childbirth. Jade may also be used to help teenage girls with anorexia, and for mothers who are afraid of not knowing how to parent their children. Heart. Hips. Kidneys. Spleen. Healthy hair, Thymus, Immune, Cleansing Blood, Nervous System. Red Jade is an active stone. Red Jade is used to defuse tense situations and release the energy. Red Jade can be a very intense energy and over stimulate the wearer. This can lead to expressions of upset, anger or agitation. Red Jade can be used, carefully, to bring up those feelings so that one may deal with them in the open. Orange Jade is similar Yellow Jade in that both convey the gift of inner peace, joy and happiness. They teach the interconnectedness of all life and all Beings. Orange Jade is used to assist the digestive organs of the body. Orange Jade boosts the wearer’s energy and provides protection. Yellow Jade is similar to Orange Jade in that both convey the gift of inner peace, joy and happiness. They teach the interconnectedness of all Life and all Beings. Yellow Jade is used to assist digestive organs of the body. Green Jade is the most common color of Jade. It is thought to be calming to the nervous system. Green Jade is thought to represent life and growth and to assist one in finding their heart true desire. It is associated with the Heart Chakra and is thought to make it easier for the wearer to express love. Green Jade may produce dreams that are vivid and accurate. Blue Jade is a peaceful stone. It is associated with the Third Eye Chakra. It helpful in reaching a deeper level during meditation and relaxation exercises. It is a steady energy and is given to people who feel overwhelmed or under tremendous stress in their lives. Blue Jade helps to neutralize karmic influences and the emotional issues that are tied to them. Lavender Jade is said to bring one in touch with their emotions, especially the softer side. It is said to assist in honest communication and self- control. It is often given as a gift to someone who has been hurt or disappointed by love- to aid in recovering from any negative love situation. Lavender Jade assists with fresh ideas and creativity and is said to bring psychic understanding of one’s dreams. Black and Gray Jade are thought to be strong protection from negative energy and will give one the strength to fight. It is good for Grounding, as it is related to the Root or Base Chakra. These Jades are said to support a wise persons correct use of power. Brown Jade is said to be a stone connecting all of humanity to Mother Earth. Often given as a housewarming gift, or when changing jobs, because it is thought to aid in adjustments to any new environment and settling negative events in the home. White or Cream Jade is used to direct ones energy and assist in concentration, by filtering out unwanted distractions. White and cream jade has long been used to boost energy and to ascertain what the highest outcome for a given situation will be. In Crystal Healing, White Jade has been used for Attention Deficit Disorder and for other areas where focus and concentration is needed. Selenite comes from the Greek word Selene, meaning Moon, and is associated with the Greek Goddess Selene. Selenite contains feminine energy, and is often used to connect and commune with the Divine, especially Goddess Energy. Selenite is known as the Mystical stone of “Crystal Clarity”. Selenite’s high vibrational energy fills our being and all aspects of our lives with pure love and light of the Divine Source. It provides clarity of mind, and enhances awareness of self and surroundings. Selenite helps us to reach new states of consciousness, to rapidly shift blocked energy, clear away negative energy and remove emotional turmoil and confusion. Selenite will also cleanse other crystals, clear unwanted energies and permeate its surroundings with pure clean white light energy. It assists in making sound judgments and heightening intuition to manifest our desires. Selenite, like all Gypsum, is a master facilitator, which means it has a wide variety of uses in Crystal work and can be used very successfully with other stones. Although any number of attributes have been assigned to Selenite, it is especially useful for cleansing quartz and other minerals. Psychologically and materially, it has cleansing effects as well, and is said to remove negative influences of all kinds. Some sources claim that Selenite energy operates like no other, working rather like a radio that tunes into areas of difficulty or static. Our problems may not always be what we believe them to be, but Selenite energy can be very illuminating, whether we agree with its diagnosis or not. Place any crystal, specimen, or pocket stone you have been working with on top of your Selenite. The crystal will both clean any energies present and help to recharge your other crystals and stones. You can greatly increase any other crystal or stone energy by pointing your selenite at the other stone, visualizing just how you want that stone to perform. In addition to removing negative energies, Selenite enables one to more readily access unconscious impulses and patterns of behavior, so it’s important to be mindful when working with it. Its energy is best directed outward rather than inward as a protective influence. Especially useful in helping to clarify issues, as well as your own mental processes, Selenite can sometimes operate beyond your plans for it – you may begin to experience visions of the future or past lives. Selenite is associated with the Crown Chakra and has certain powers to amplify circumstances, so if you’re feeling especially vulnerable, use another stone until you’re on a more even keel. Translucent Selenite has a very fine vibration and brings clarity of mind, opening the Crown and Higher Crown Chakras and accessing angelic consciousness and higher guidance. Pure Selenite is a link to the light body, helping to anchor it in the earth vibration. Selenite is a calm stone that instills deep peace and is excellent for meditation or spiritual work. Telepathy is enhanced by each person holding a piece of pure-vibration Selenite. The purest translucent white Selenite has an ethereal quality and is said to inhabit the place between light and matter. An ancient stone, it is nevertheless one of the most powerful crystals for the new vibration on earth. Selenite can be used to form a protective grid around a house, creating a safe and quiet space that does not allow outside influences in—use internally in the corners of the house. A large piece of Selenite placed in the house ensures a peaceful atmosphere. Selenite wands can be used to detach entities from the aura or for preventing anything external from influencing the mind. Psychologically, Selenite assists judgment and insight. Mentally, it clears confusion and aids in seeing the deeper picture. It brings about a conscious understanding of what has been occurring at the subconscious level. This is a powerful disperser and stabilizer for erratic emotions. These crystals can be especially useful for people who are suffering from chronic illness such as chronic pain syndrome, skin disorders, back or other chronic pain, or syndromes such as chronic fatigue. It restores balance and can help you to gain considerable insight as to the root cause of a specific condition. Selenite aligns the spinal column and promotes flexibility. It guards against epileptic seizures. This stone neutralizes mercury poisoning from dental amalgam and reverses the effects of “free radicals.” It is an excellent crystal for breastfeeding and nurturing a child. Its finest healing occurs at the energetic levels. Hold, or place in or around house. Selenite Wands are wonderful healing tools. You can get Wands that are made from the white Gypsum Selenite variety, which is known as Satin Spar. You can also use a natural golden Selenite Wand, as these occur naturally in a perfect shape to use for healing. When you hold a piece of this stone in your hand, particularly a Wand shaped piece, you should be able to quite quickly feel the energy within it. The vibration of these wands is powerful, as once activated they will cleanse the etheric field of the body of any negativity. The vibration of a piece of Selenite crystal often sets in train the birth of the psychic power of telepathy. These lovely stones are very beautiful, and look quite different to the translucent Selenite, which is often called Optical Selenite. Satin Spar Selenite Crystals may have vertical lines running down the length of the stone, and this is usually in the direction of the point of the Wand. Crystals shaped like this may be referred to as Light Wands, as these Wands are quite reflective of light. Selenite Wands are marvelous healing tools, as they will channel energy through them, and this energy can be directed by the Healer. If you have a Wand shaped piece of this stone, you can gently squeeze it to activate it, and then hold it to any area of the body where rebalancing is needed. A Healer or anyone who wishes to use them for healing can also use them to sense where the health problem is located in the body. This is useful if you are unsure of exactly where in the body the problem originates. The way that you discover where the problem might be is by gently squeezing the wand and moving it. When you recognize that you are feeling a change in the energy flow, this tells you that the energy in this area is not flowing as it should be. The Healer would also activate their Wands to use them for healing, by gently squeezing them. You then point them towards the specific problem area that you have become aware of, when you previously used them to locate the health issue. 7th Chakra – Crown Chaka, 6th Chakra – Third Eye Chakra. It is also related to the 2nd Chakra – Sacral Chakra. Do Not Wet your Selenite Crystals, as they may dissolve in water. Contact with water is not recommended for any variety of Selenite. When cleansing Selenite use other methods of Cleansing Crystals. There are a variety of ways you can clear a crystal. One way to cleanse a crystal is by soaking it in a solution of sea salt and distilled water (lavender oil is also often added to the solution due to its purification properties). Another method involves holding the stone under running water or in a stream to be purified. Yet another method to cleanse a stone is by smudging it. To smudge a stone, you must pass the stone through the smoke of an herb or incense (white sage, juniper, palo santo, sweetgrass, cedar, and sandalwood are all commonly used smudging herbs). Also, you may choose to bury a stone in the soil of the earth for a length of time in order to cleanse it. The clearing process should be carried out until you intuitively feels that the stone has been cleansed, or by feeling the stone’s energy. You should then charge the crystal in sunlight or moonlight (preferably that of a full or a new moon) for at least one full day or night. It is said that the meaning of the name of this crystal dates back to when it was originally used by people soldering gold… and the name comes from the Greek word ‘chrysos’ meaning gold and ‘kolla’ meaning glue, together meaning ‘Gold Glue’. The spelling may vary as it is easy to misspell, and various spellings are common, such as Chrysacolla and Chrysocola being used in some places. Chrysocolla is a stone of empowerment of the feminine energies. It emanates gentleness and power, teaching that genuine power best expresses itself through gentleness. It is a stone of the Goddess, and those who resonate with Chrysocolla will likely feel her ancient and enduring energies rising within themselves. Chrysocolla stimulates the throat chakra for clear communication of one’s inner wisdom. It can even be an aid to learning what that wisdom actually is. Those who have had the experience of being surprised by hearing oneself speak a thought more profound than that which one had in mind will know what is meant by this. The process of formulating and speaking one’s ideas, especially when it is done spontaneously, can reveal one’s true innate wisdom. Wearing Chrysocolla, particularly wearing it near the throat chakra, can facilitate these and other gifts of expression. Wearing Chrysocolla is also known to benefit singers and musicians, as its energy is very supportive for anyone doing activities related to sound. It may be particularly helpful if you play or sing; as it has a good action to boost musical activity. Chrysocolla is closely attuned to the vibrations of the Earth and can facilitate one’s empathic connection with the Earth’s consciousness. In addition to activating the throat chakra, it can harmonize and balance the heart chakra and can link both heart and throat chakras with the base chakra, for greater life force and physical vitality. Chrysocolla is a cardinal Water element stone, governing the flow of energy and communication. It is powerful for opening and cleansing the throat chakra, allowing one to channel the loving knowledge of the heart to others. It assists us in owning the power of our words and in recognizing how the words we use affect our reality. It facilitates the expression of our heart’s deepest truth, as well our mind’s greatest knowledge. Chrysocolla is the ‘teaching stone.’ in that it encourages one to speak one’s highest knowledge so that others may benefit from our experiences. This teaching may come in the form of speaking lovingly to a friend and offering one’s insight into his or her life situations. It may come in the form of taking on the role of teacher with a student—offering the benefit of your experience as you open to learn from others. Or you may teach by simply modeling the power of words—choosing your words consciously and with full knowledge of their impact in the world. Teaching can take many forms, but true teaching is the act of speaking one’s truth from the heart and sharing the knowledge one has gained through experience. Chrysocolla is a valuable ally for those who speak for a living. It can help open a channel between higher consciousness and verbal expression, allowing for divinely inspired speech and communication. It is also helpful to those who are afraid to speak their hearts, or who may not realize that their words of experience are filled with wisdom which could help others. This stone encourages all of us to share our true selves, without artifice or masks, so our wisdom—not just our information—can be conveyed through our words and our energies. Chrysocolla is a powerful model for consciously considering the way one puts one’s energy into the world. One can speak and say nothing, or remain silent and speak volumes. Chrysocolla teaches the value of both sound and silence. Its calming, soothing energies facilitate flow in one’s life and one’s energy. It can aid in dispelling fiery energies, angry words, or fear-filled sarcasm, so our most valuable truth is shared through our words or our silence. 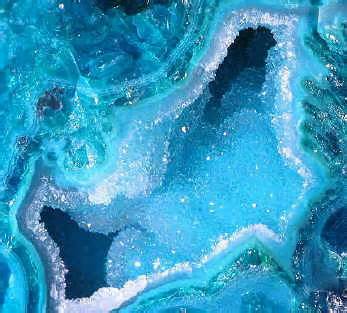 Chrysocolla is a tranquil and sustaining stone. It helps meditation and communication. Within the home, Chrysocolla draws off negative energies of all kinds. It can help you to accept with serenity situations that are constantly changing, invoking great inner strength. It is beneficial to relationships that have become rocky, stabilizing and healing both the home and personal interaction. Chrysocolla governs all aspects of sound healing, whether through words or sound frequencies. Its energy teaches us how sound affects our physical reality and how we can change that reality by adjusting the way we use our words. Chrysocolla’s energy facilitates true communication between all beings by promoting the expression of heart energy. Chrysocolla assists one in owning the value of one’s experiences, knowledge and contribution. It helps one feel more secure when communicating with others and helps dispel fear in social situations or when one is speaking in a highly charged emotional situation. It assists one in releasing patterns of sarcasm, criticism and facetiousness in one’s communications with others, as well as releasing the fear from which these patterns stem. Psychologically, Chrysocolla encourages self-awareness and inner balance, and imparts confidence and sensitivity. It enhances personal power and inspires creativity. Overcoming phobias, it draws out negativity and supplies motivation for those who lack it. Mentally, Chrysocolla reduces mental tensions and helps you to keep a cool head. It promotes truth-telling and impartiality. Emotionally, Chrysocolla alleviates guilt and brings in joy. Chrysocolla assists in the release of stress, anxiety and other fear-based imbalances in the body. It can assist in the regulation of the thyroid and adrenals. It is excellent for sore throats, laryngitis and for support of the larynx in general. Chrysocolla treats arthritis, bone disease, muscle spasms, the digestive tract, ulcers, blood disorders, and lung problems. It detoxifies the liver, kidneys, and intestines. It reoxygenates the blood and the cellular structure of the lungs, giving greater lung and breathing capacity, and regenerates the pancreas, regulates insulin, and balances blood. This stone strengthens muscles and alleviates muscle cramps. With its cooling action, it heals infections, especially in the throat and tonsils, lowers blood pressure, and soothes burns. It relieves arthritic pain, strengthens the thyroid and is beneficial to the metabolism. An excellent stone for women, Chrysocolla treats PMS and menstrual cramps. Chrysocolla calms, cleanses, and reenergizes all the Chakras and aligns them with the divine. At the solar plexus chakra, it draws out negative emotions such as guilt, and reverses destructive emotional programming. At the heart chakra, it heals heartache and increases the capacity to love. At the throat, it improves communication but helps you to discern when to keep silent. At the third eye, it opens psychic vision.